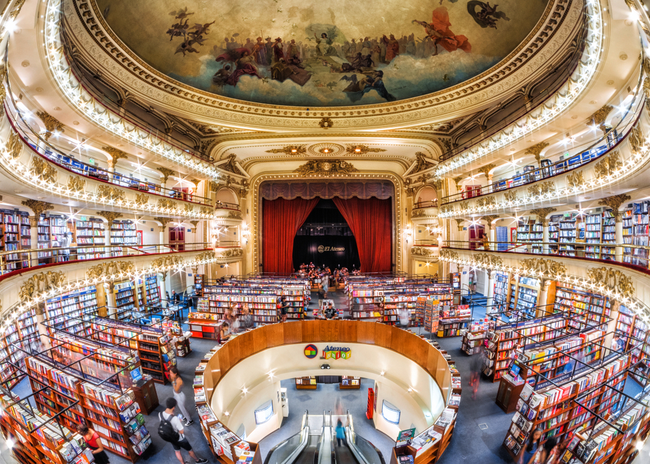 This bookshop which is a converted 1920s movie palace uses theatre boxes for reading rooms. First a performing arts theatre, then a cinema, now it houses one of the world's most beautiful bookstores and draws thousands of tourists every year. The interior of the building remains unchanged - you'll see the original frescoed ceilings, ornate balconies, and plush red stage curtains.